The Islamic Jihad in Gaza said the terror group is firing Iranian-made Fajr-5 missiles into Israel. The deputy leader of Palestinian Islamic Jihad, Ziad Nakhleh, has said that rockets fired by Hamas and the “Palestinian resistance” at Israeli towns and cities are of Iranian origin, Lebanon’s el-Nashra newspaper reported on Monday. However, Nakhleh denied that the escalation of violence by Hamas and Islamic Jihad equated to the implementation of a scenario devised by Iran. “Did Iran tell Israel to kill [Hamas military wing de facto leader Ahmed] Jabari?” Nakhleh said. 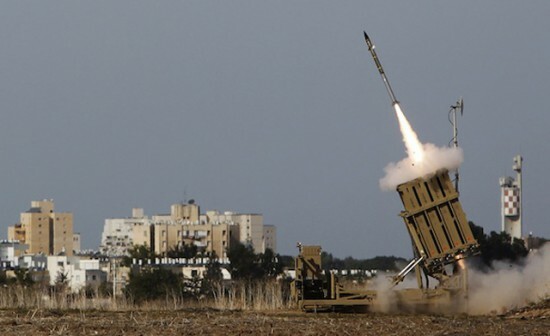 Israel has said that the long-range rockets Hamas has fired at more northern targets including Tel Aviv are Iranian-made Fajr-5 artillery rockets. Iran’s Lebanese proxy Hezbollah has also fired Iranian-made Fajr-5 rockets — which the terror group named Khaibar-1 rockets — at Israeli targets during the Second Lebanon War in 2006. With a range of approximately 75 km and a 45 kg warhead, the Fajr-5 is launched from a mobile platform that contains up to four rockets per launcher.